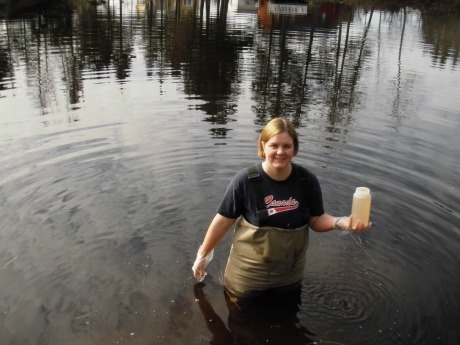 From 2008 to 2010, MREAC partnered with Environment Canada to participate in a national initiative called the Chemical Management Plan at a Miramichi watershed site on the Napan River. This program was created after scientists started to notice subtle changes in the environment where the causes were not easy to identify. Detailed analysis of impacted organisms and their environment began to reveal that trace amounts of some chemicals were having significant impacts on plants, animals and ultimately human health. New chemicals by the thousands are being used in an array of industrial processes and filling up our homes in the products we buy. More sophisticated sampling methods and technology has allowed greater opportunity to identify and measure the levels of these chemicals and their impacts. 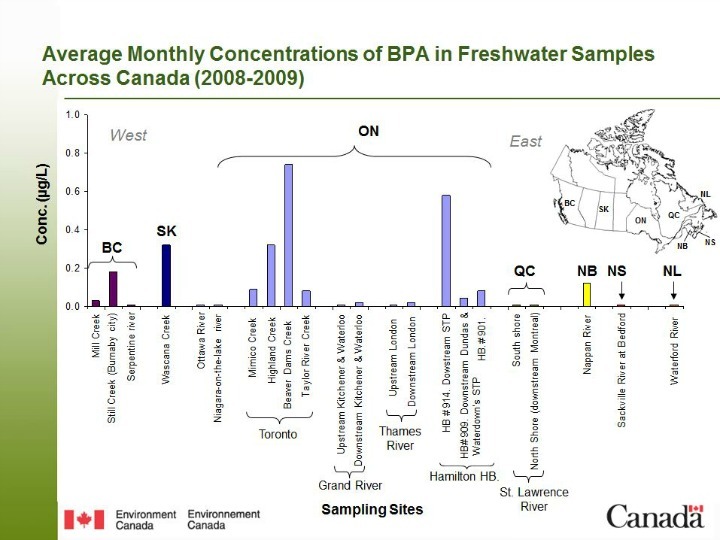 Environment Canada in response to these new chemicals, launched a nation wide monitoring program to better monitor levels and impacts with the idea of better future control. fFromAugust 2008 to November 2010, MREAC's monthly sampling routine was targeting two chemical groups; one being flame retardents (or perflurinated compounds), the other an industrial chemical bisphenol A. Both of these chemicals are found in household products and find their way into the local environment. MREAC's participation in this program was to collect monthly water samples from the Napan River and ship these samples to the Environment Canada laboratory in Moncton. The Napan River has long been impacted by the drainage from the former Chatham Air Base, waste-water from storm and sanitary sewers, and agricultural activity on the river. As a small Miramichi watershed with various significant local impacts over recent decades, this watercourse was selected to explore potential impacts of these chemicals of concern.